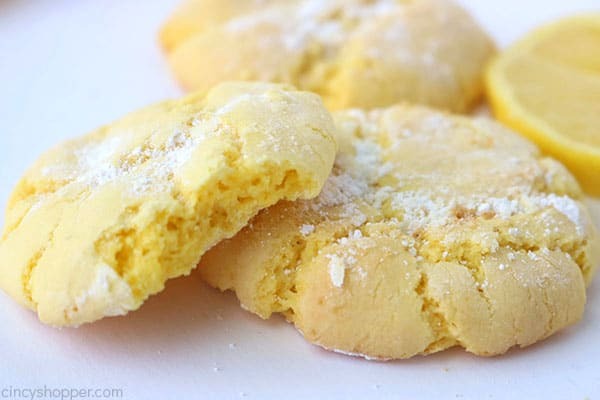 These Easy Lemon Cookies are light, soft, chewy, and full of lemon flavor! 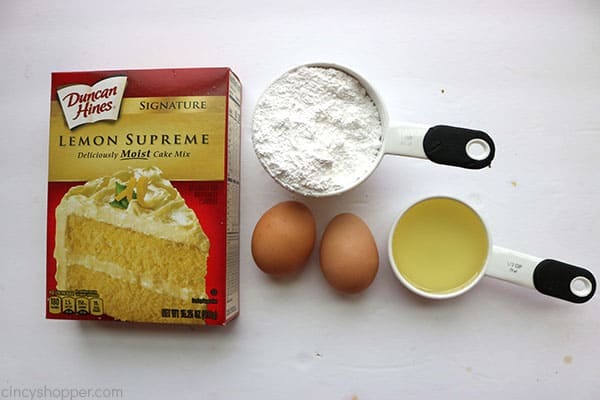 The recipe starts with a cake mix which makes them super quick to make. Perfect dessert for Easter, summer potluck, or your next pool party! Lemon desserts are great for spring, summer, and especially Easter. The colors are always bright and the lemon flavor is refreshing. 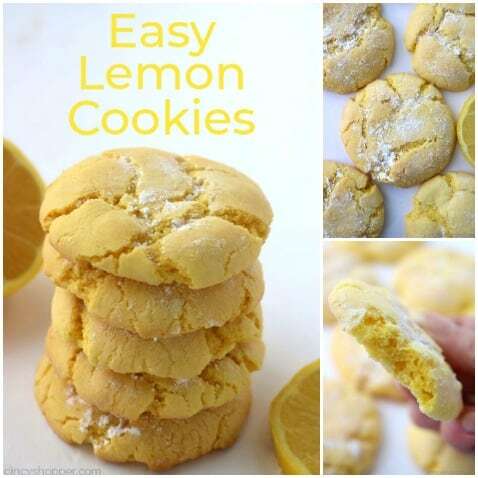 Quick lemon recipes like my Easy Lemon Pie and these Lemon Cookies are perfect when pressed for time. I mentioned above that I use a cake mix to make these Easy Lemon Cookies. Cake mix cookies have been around for ages. I think most are attracted to the simplicity of the recipe. It’s impressive that such a tasty cookie can be made so quickly. Sure baking from scratch is great when we have time. But time is not always on our side, especially on busy summer days. 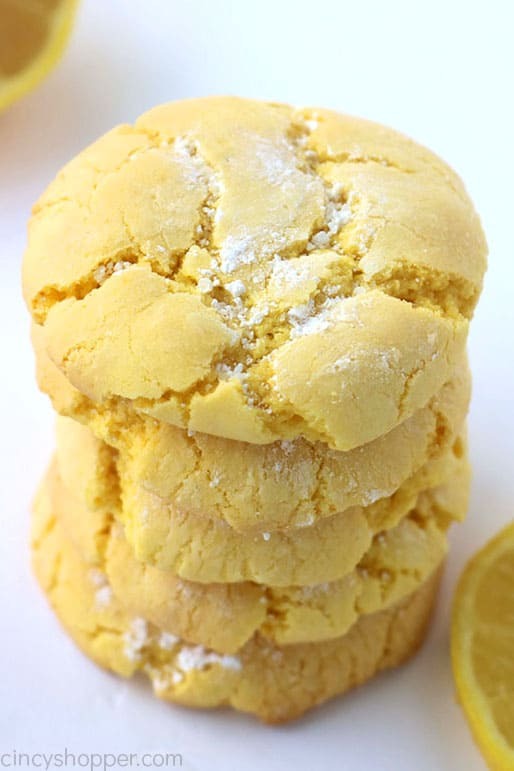 Every time I make lemon cake mix cookies, the results are fantastic. The cookie is always soft, chewy, and has a bit of crunch. The lemon flavor is delicious. I have had countless requests for the recipe because they are that good! 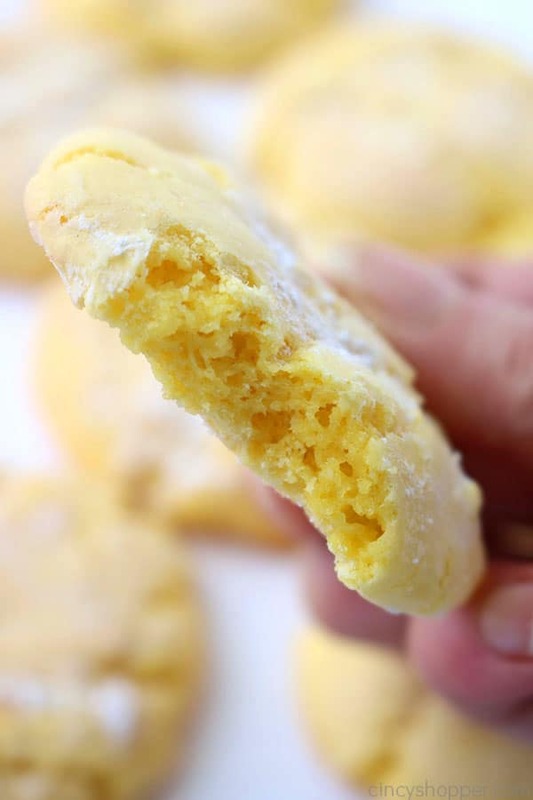 You will need a lemon flavored cake mix, eggs, oil, powdered sugar, and a bit of lemon juice for these Easy Lemon Cookies. It’s impressive that such a tasty cookie can be made with just 5 simple ingredients. The baking time is even super quick. 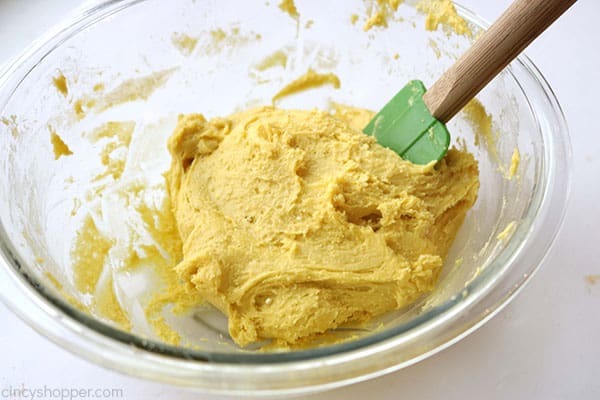 In a large bowl, combine cake mix, eggs, oil, and lemon juice. 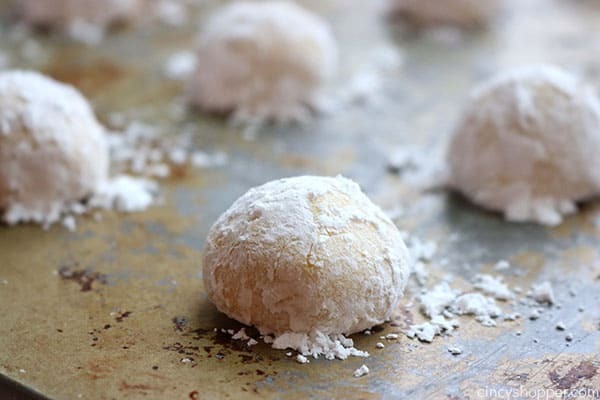 Scoop teaspoon sized balls and roll in powdered sugar to coat. Bake for 6-9 minutes until bottom of cookie just begins to brown. Allow to cool on sheet for 5-10 minutes. Do NOT overbake! All ovens will vary with temperature. You will need to monitor your cookies closely. Watch for the bottoms to be slightly brown. 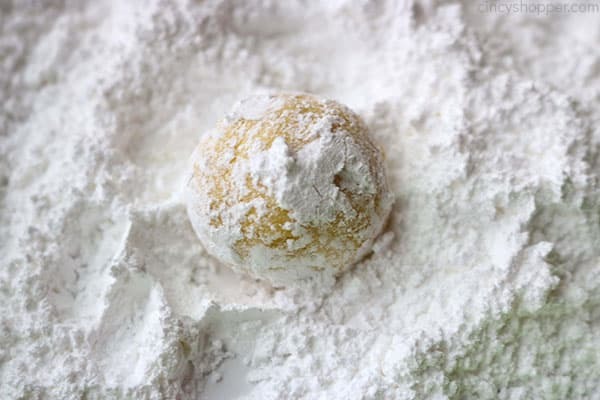 If you prefer to have a bit of fluff to your cookies, refrigerate your dough for about 30 minutes. Consider adding some white chocolate chips. They will add a bit of extra flavor and texture. 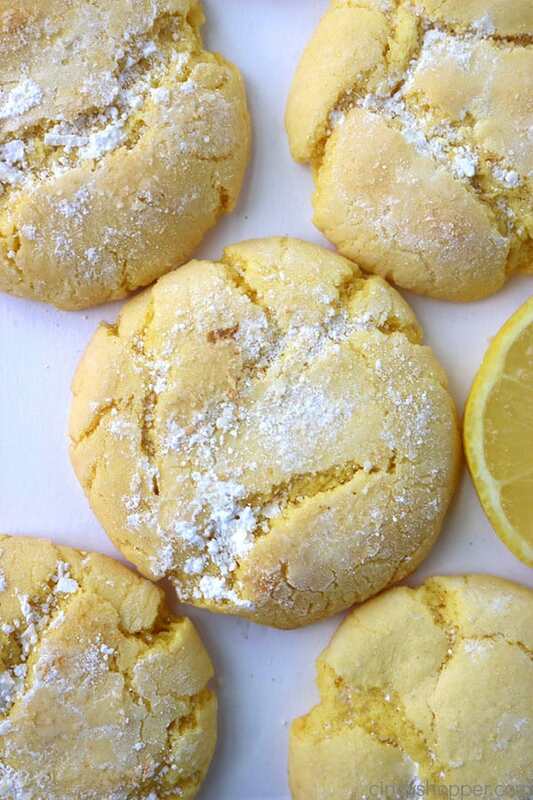 White chocolate pairs well with lemon. Lemon Meringue Pie – a traditional pie that all will find delicious. Lemon Lush Bars – a simple recipe that tastes and looks amazing. No Bake Oreo Lemon Cheesecake – everyone loves this recipe. 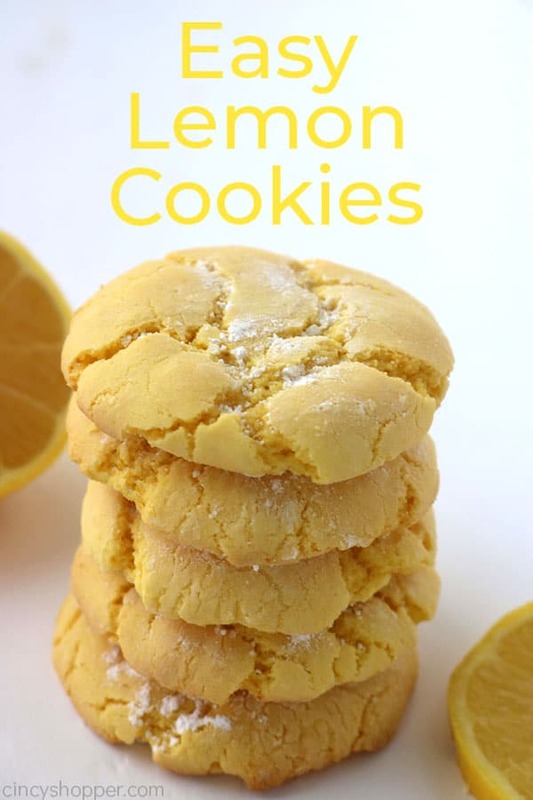 These Easy Lemon Cookies are light, soft, chewy and full of lemon flavor! The recipe starts with a cake mix which makes them super quick to make. Perfect dessert for Easter, summer potluck or your next pool party! 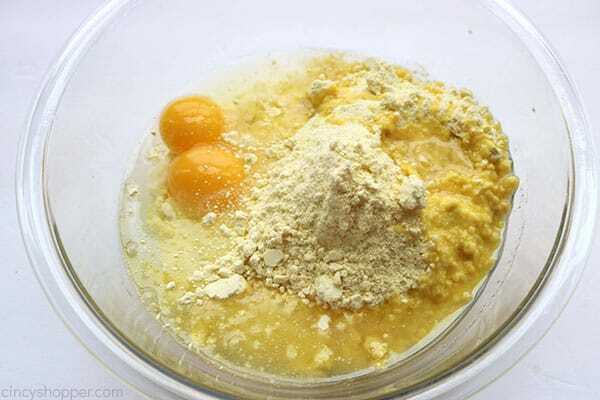 In a large bowl, combine cake mix, eggs, oil and lemon juice. Could I substitute oil for butter? I don’t like the vegetable oil taste.